Rothco Deluxe Gold Volunteer Firefighter Badge - Gold-Plated, Sturdy Pin, Red Insignia - Dimensions 3 1/8”x2 1/4” | BUDK.com - Knives & Swords At The Lowest Prices! 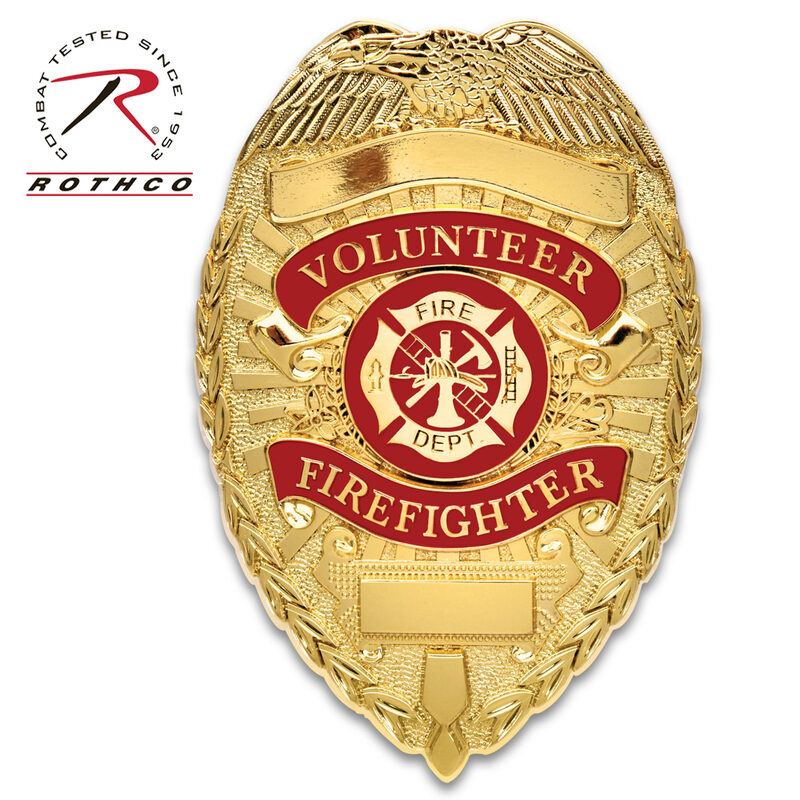 Our Rothco Deluxe Volunteer Firefighter Badge allows you to identify yourself when you are responding to an emergency. The embossed shield is elegantly and intricately crafted of a zinc alloy with a polished gold plating and it has a sturdy fastening pin on the back. The shield displays, in red, the words, “Volunteer Firefighter,” surrounding the fire department insignia, and the badge measures 3 1/8" x 2 1/4" overall. The eye-catching, highly polished badge leaves no question as to what your purpose is when you respond to a call.